The Villages, Florida United States - GOLF CART 2 BEDROOM COURTYARD THE VILLAGES FLA | RE/MAX PREMIER REALTY Inc.
Pet Friendly with a cart Great location off of Morse Blvd. 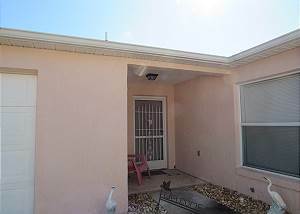 Two bedroom two bath home all tile floors. Washer and dryer in the garage. Golf cart for your pleasure. The house was in a great location. A guest from Troy, MI US recommends this vacation rental. The house was very clean and they had everything I need to enjoy my visit to the Villages. Thank you Sharon! See you again soon. Thomas M. from Bolivar, NY United States recommends this vacation rental.